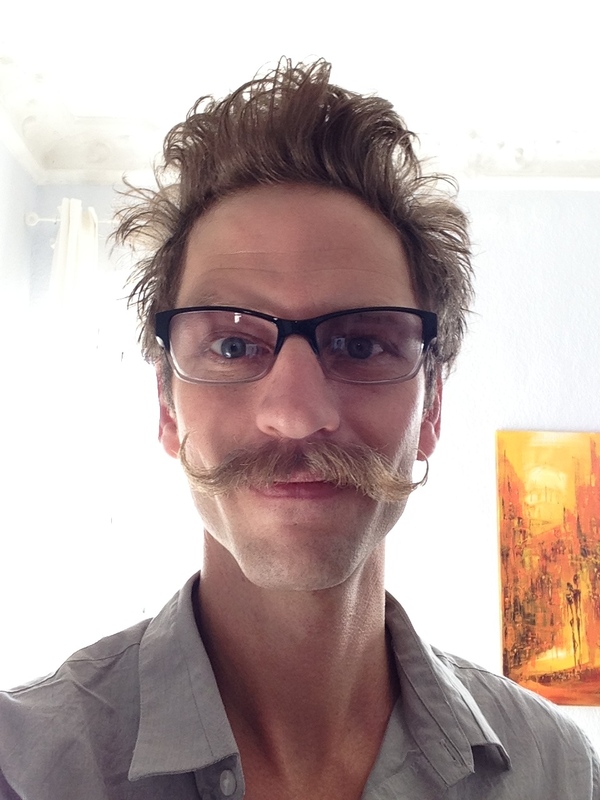 Editors Note: This is the first, but hopefully not the last, guest post on this website. It’s part 1 of a two part series on our expeience of a massage in Saigon. I wanted to get different perspectives on the subject and this post, by Leonard Allen, addresses the wider experience. The next one will explain my own massage in more detail. There are thousands of spas offering massage around town. I’m sure many of them are excellent but with such a wide variety of prices and “services” on offer, choosing can be quite overwhelming and a little bit intimidating. 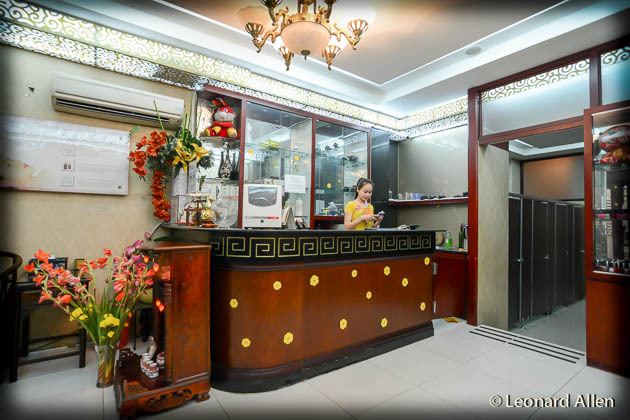 Until now I have tended to avoid the experience, but as Massage Han Cung came recommended by the Leonard, who is an acquaintance of mine, I thought I’d venture into the mysterious world of massage in Saigon. I’m so glad I did. [dropcap]I[/dropcap] NEED A MASSAGE. And, I have a place in mind. Prelude and full disclosure is that the owner of the establishment I’m thinking of is a good friend of mine. I made her a proposition – “I will write an article about your spa, if and ONLY IF you are comfortable with me giving an honest account of my experience.” My closest friends know how honest I can be. You have been forewarned, Tina. Being truly honest with a close friend on all levels isn’t always easy. It’s your friend, after all. It means something. We never set out to hurt ours friend, intentionally. This is the modus operandi, for rational, sympathetic individuals at least. From a business owner’s standpoint, it makes sense to not only believe that you have something special, but to stand behind it and defend it at all costs. When you rely on selling a product or service, which on the surface, can be found at 100 plus other businesses within a 1 mile radius, you have to offer something unique. That “something” must differentiate you from the rest, and is part and parcel to keeping your doors open. I’ve seen the doors of many businesses close in my short time in Vietnam because they didn’t grasp this concept. Everyone in this part of town is on the hustle. No customers equal no money equal “close up” shop and hope to try again someday. It makes perfect sense. As mentioned, this is my friend’s shop and I often pop-in to visit. This usually includes, drinking a cup of aromatic jasmine tea brought out by a lovely girl dressed in the traditional long Vietnamese ao dai (pronounced oww zay). Quite often, the wonderful staff present me with snacks. The hospitality has been always omnipresent and familial. It is welcoming in ways I wish we Americans could adopt. and is shown in spite of the fact that the staff member knows I’ve come to chat and not to spend money. This recipe for hospitality has kept Massage Han Cung in business for 4 years already while other businesses are closing all around the city. When sitting in front of the spa watching passersby, it is obvious that the team is well aware that customers are crucial. Yet they approach them in a way that borders on the sublime. Tourists who are on a mission from A to B aren’t tackled and unsuccessfully restrained, the way that I’ve been on previous walkabouts in this city. When you walk by Han Cung, you are casually approached by the beautiful staff. There is none of the usual hustle. People are instantly made to feel welcome by the staff’s innate knowledge of cultural differences. This is truly commendable, considering the language barrier. It really blows my mind, because people-watching is a past-time of mine. I often see people, who had absolutely no intention of getting a massage, have their defenses melted within one minute of chatting with the girl or boy at the entrance. Somehow, the connection between the tourist on his or her journey and the person standing before them, prove enough to throw caution to the wind and slip inside for an hour or longer of sheer indulgence. Live and learn. The massage you get at Han Cung thankfully falls into the former category, but without the strain on your budget. You are pampered in the same way as in the higher end spas, yet for a fraction of the price. In additions there is no exclusion of amenities, cleanliness, reputability, or skills on the part of the masseuse. I would rank Han Cung as one of my better overall experiences in Saigon if not, in fact, one of the best. Received as guest, not just a client. I’ve intentionally left out the details of the massage. I am more taken by the overall experience that lead up to it. 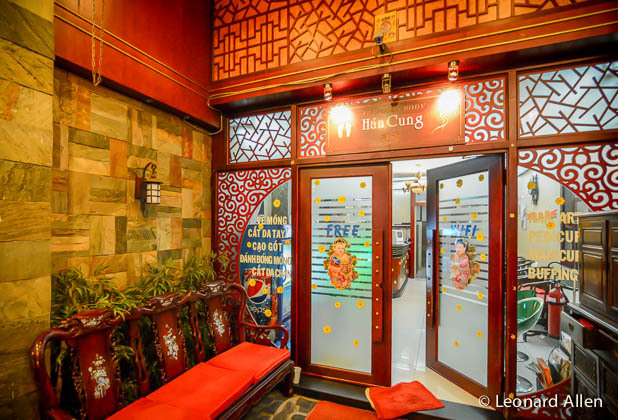 If you are concerned about the details, then please read on to Sharyn’s account of her experience at Han Cung. Mine was quite similarly extraordinary. Or, you can forgo the reading altogether and simply walk over to 271 Lý Tự Trọng in District 1, just up the street and around the corner from Bếnh Thành Market and Mariamman Hindu Temple, and see for yourself. Leonard Allen is your typical self-replicating Gemini prototype – eyes of a chameleon, stripes of a leopard, the temperament of a snowflake with amnesia reveling consciously within the physics of gravity and purpose. He promises to deliver self-actualized accounts of everything you never wanted to know about everything, utilizing a multitude of media. You can find him currently putting his lens, his face and at times his guitar before you in Saigon, Vietnam, where he has been officiating the effervescent Bacchus-Apollo affair for a year and change. Currently his photography is available for viewing here on Flickr.com. I just wanted to thank you for posting this. I’ve been a massage therapist for over thirty years, so I am always looking for a good massage. I had a very positive experience at Han Cung, with added touches of cucumber mask and hot stones included and the price for 1.5 hours of bliss was only 300,000 VND which is extremely reasonable for the quality of treatment. I tipped my girl well, but she deserved it as I asked for a strong massage and she worked consistently. Cheers. Glad you liked it. Yes, they are great value. Less than a fifth of what I’d pay back in Australia.